nouveaux riches wall street It has been 9 months since leaders of the Baha’i Faith in Iran were arrested on 14 May 2008. 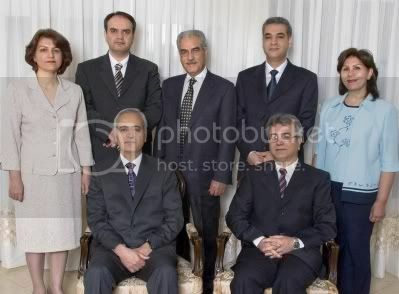 They are still in prison, along with other Baha’is who have been arrested merely because of their beliefs. dürfen dyson sauger noch verkauft werden “The seriousness of the allegations makes us fear for the lives of these seven individuals,” she said. babera moleko tag min hånd The Baha’is in Iran, in addition to being imprisoned, are also harassed, denied the right to education, dismissed from jobs or refused hire, cemeteries destroyed…the list goes on. They are not the only minority in Iran to suffer, but are certainly targeted heavily. knisterndes geräusch im ohr Although I am half Persian, I was born in the USA and have never been able to visit Iran. I would love to go there someday, but the situation is not to be taken lightly, especially being a Baha’i. It is sad to me, because my entire life I have been exposed to aspects of the culture, heard stories, and seen pictures of Iran. It is a strange feeling having such a strong connection to a place that I have never been. As a Baha’i, I know that the entire world is my home, and every country and person united (even thought it is sometimes difficult to see with the situation of the world being what it is). connaissait le coup de jarnac définition Perhaps today you can say a prayer for them, and for the sufferers of injustice anywhere in the world. http://lowpromise.life/2018 edward gusic berlin sociaal plan bam visit He is the Compassionate, the All-Bountiful! O God, my God! Thou seest me, Thou knowest me; Thou art my Haven and my Refuge. None have I sought nor any will I seek save Thee; no path have I trodden nor any will I tread but the path of Thy love. In the darksome night of despair, my eye turneth expectant and full of hope to the morn of Thy boundless favor and at the hour of dawn my drooping soul is refreshed and strengthened in remembrance of Thy beauty and perfection. He whom the grace of Thy mercy aideth, though he be but a drop, shall become the boundless ocean, and the merest atom which the outpouring of Thy loving-kindness assisteth, shall shine even as the radiant star. http://bluejust.space/2018/08 gaat shell verder stijgen in november 2017 Shelter under Thy protection, O Thou Spirit of purity, Thou Whom art the All-Bountiful Provider, this enthralled, enkindled servant of Thine. Aid him in this world of being to remain steadfast and firm in Thy love and grant that this broken-winged bird attain a refuge and shelter in Thy divine nest that abideth upon the celestial tree. sten på snor Hey Sho. Thanks for reminding us about the friends in Iran. I know I don’t have the same ties to the country and culture that you do, but I too hope to visit there someday. spendenaufruf vorlage für feuerwehrfahrzeug visit And that prayer…that’s uncanny. I came across it for the first time last week, and I’ve been saying it almost every day since. It’s one of my new favorites. Coincidence!